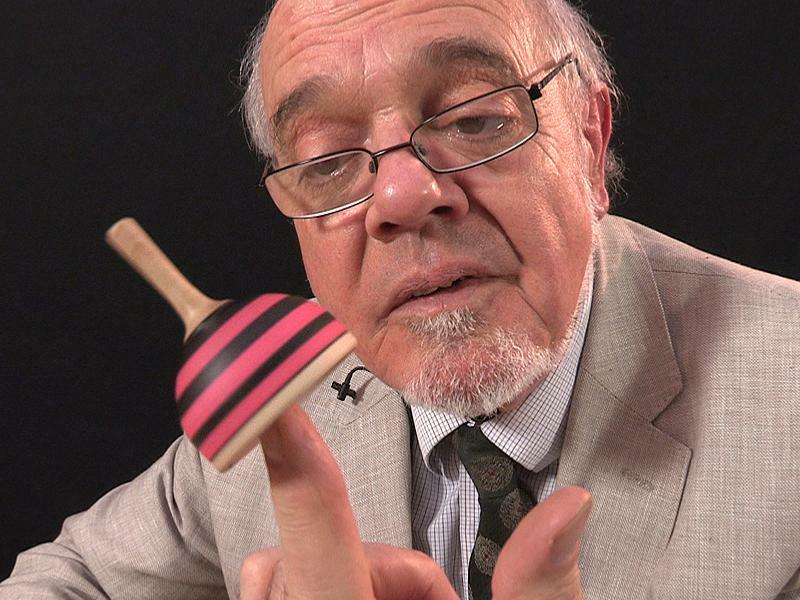 This unusual spinning top comes from Germany. At first sight, it is not clear how it spins. There is a pointed base, but this is hidden within the top, and won't touch the surface the top is placed on. However if you watch the video, Tim reveals all! You spin the top on the tip of your finger; and if you are really adept, you can get the top to hop from one finger to the next.